At the advice of a friend, I called Tom back in September of 2009. 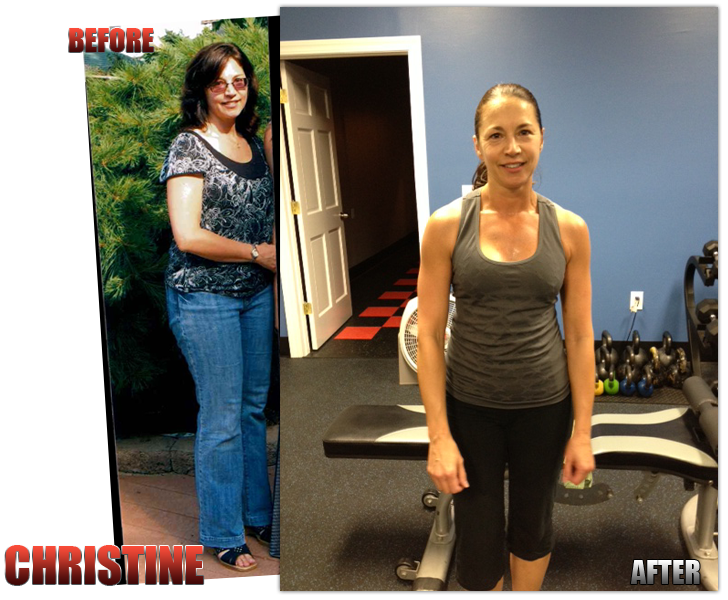 I was 47, had not focused on my weight or health in many years and was beginning to feel the effects. My idea of dieting was starving myself to the point of illness. And exercise, well who had time for that? The last time I did any sort of consistent exercise was 1993! I felt it was time to focus on myself for a change. Change is the optimal word here. I still remember the day I started. To say I was terrified is an understatement. I felt too old, too out of shape, too (insert lame excuse here) to be in the gym. All my joints were beginning to hurt, I was finding it harder to move around, and was beginning to pack on the pounds. I did not want to believe that it was an unavoidable part of the aging process. And it isn’t! No matter how scared I was, I forced myself to go. Tom made me feel completely comfortable and knew exactly how to keep me motivated. At first, having scheduled personal training sessions was what I needed. While these sessions are only 30 minutes, Tom safely packs the maximum amount of sets in. Not a second is spent idle. Sessions move quickly – no waiting around for equipment or trying to figure out how to use it properly, no trying to figure out what muscle groups to work out, no injuries! I can honestly say that I get more accomplished in that 30 minute session than if I spent 60 minutes or longer trying to do it on my own. It wasn’t too long before I began to look forward to my workouts and the positive changes I was seeing in my body and my attitude. Tom also guided me in making the proper food choices. The amount of knowledge and experience that this man has is incredible. He helped me to increasingly make small changes that I could live with which over time added up to a sustainable 100% lifestyle overhaul. Fast forward to the present day, and my physical and mental changes have been incredible. I feel strong, confident and accomplished. Taking care of myself has become my priority and I no longer have to “find motivation” to do it, nor do I feel guilty about spending time on myself. It’s just part of my day the same as breathing or going to work– never a struggle to find the time, it’s easy to make the time if you seriously want to. I continue to do 1:1 personal training sessions, but I also joined Boot Camp and Kick Fit Classes. I love the classes and feel I have discovered the perfect blend of activities. Tom and the other trainers keep things challenging, interesting and fun. No two workouts are ever the same and the others in the classes are all so nice and supportive of one another. They have become my friends. I absolutely love the classes and my training and I highly recommend them to anyone looking to improve their life. Thank you Tom for making such a profound difference in mine!